If anyone local is looking to take a last-minute mixed media collage class, join me at the Albany Art Room the next two Thursday nights (April 23 & 30). Mixed media collage is the perfect type of medium for those looking to explore the world of paint, paper, glue and found objects without any rules! The sky is the limit when it comes to mixed media. Anything truly goes. What I love about teaching is bringing out a new-found creative outlet for someone, seeing their canvas turn into their own masterpiece and even hearing from my students afterwards about how much they learned and how their art is helping them manifest new things in their lives. When we unwind and let our creative intuition have a space, it’s like having a conversation with our higher self on the canvas. Listening to that voice will guide the way. I compare it to having one of those dreams where everything becomes more clear and decisions can be made more easily. Class Description: Remember the days of creating art? Where playing and making went hand in hand. As an adult it can be harder and harder to let go, play and create without self-judgment and fear. This beginner class is about exploring mixed media collage and creating from the place of your inner child – the one whose art inhibitions run wild! 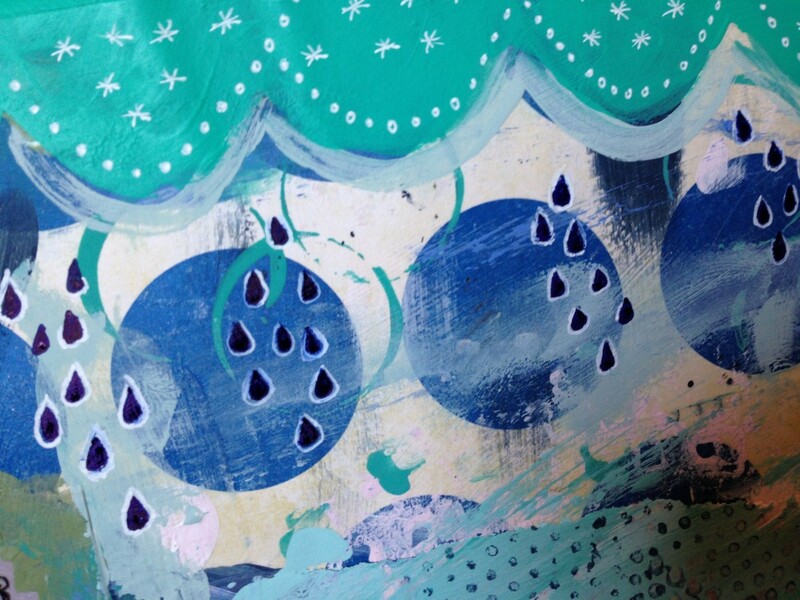 Learn how to create beautiful layers of paint and paper along with other items such as fabric and found items, all in a relaxed and fun environment. 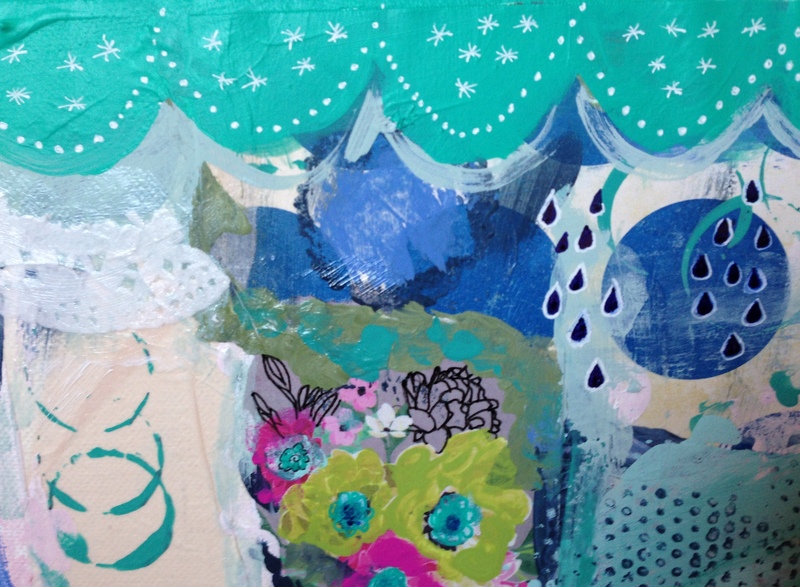 In two, two-hour classes, you’ll learn the basics of mixed media collage. Email karen@albanyartroom.com to register. All artwork and images on this site were created or taken by me, Nicole Levy, unless otherwise noted. I'm delighted for you to share my images for non-commercial purposes, but please ensure that you give me proper credit and link back. Please do not use my text in any way without my express written permission. Subscribe to Farm Table Studio!